Me and my brother are fighting game junkies. A big part of our game collection consists of beat em 'ups, from obscure small titles to the heavy hitters of the genre. So, it comes as somewhat of a surprise that such a big game as Injustice 2 has eluded me. I lost the race for the review code twice (damn time zone difference!) so I decided to get the game when it’s on sale. You see, I’m not much into superhero comics nowadays so it would be hard to me to justify to buy Injustice 2 for a full price. Luckily, the local library is nicely stocked with video games. When I saw Injustice 2 for Xbox One on a shelf, I picked the game up for a loan when I had some free time between reviews. I’m Virtua Fighter fan as I love the series’ no-nonsense approach to fighting, even though I admit that Tekken titles have a better gameplay. NetherRealm Studios is the only Western developer capable of challenging the Japanese expertise in the ring. I like Mortal Kombat X for its ultra-responsive controls. It’s almost as if I only need to think what I need to do and it transfers to the screen. 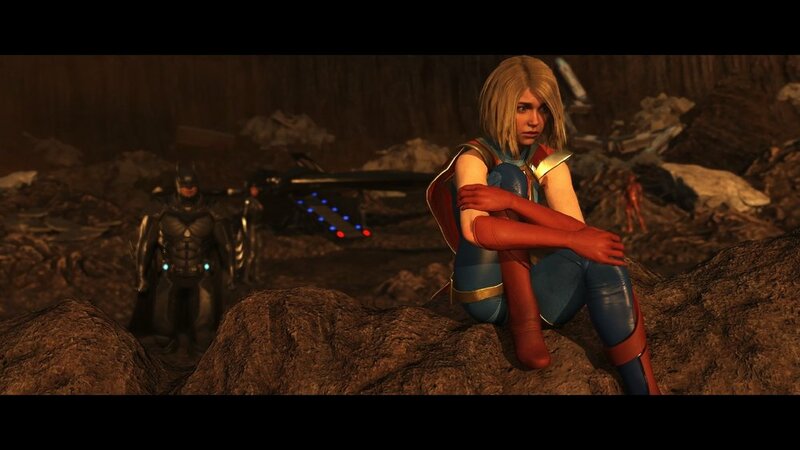 In that respect, Injustice 2 doesn’t feel as good. For starters, hit impact is weak. Come on, these characters are supposed to the most powerful men and women in the world, no, in a universe – no, make it over several universes! So, why do they hit each other like sissies? I started with the extensive story mode as it makes me play with multiple characters which is a good way of learning the ropes. First I was like “Argh! I can’t take it!”. Ridiculous drama in endless cutscenes felt like too much, and the gameplay didn’t impress me. But the more I played it, the more I warmed up. The story had a good camp value to it (I feel DC fans getting angry at saying that!) and fighting choreography and weighty punches in the cutscenes are great – better than in the gameplay. Seeing Batman pummeling living daylights out of super-powered beings as a mere human is awesome! This version of the caped crusader doesn’t suffer from the inferiority complex for sure. I have issues with the character appearances, though. It’s not that visuals are bad. Quite the contrary, Injustice 2 looks fantastic and is technically amazing. It’s the character designs that bug me, something in them that was purposefully made so. Why is Wonder Woman so damn ugly – and a horrible person too? A far cry from Gal Gadot’s gorgeous and lovable Wonder Woman in the movie. And the men. They all have tight upper lips and huge boxy teeth, making them look like chipmunks in colorful tights. But oh boy, do I love Supergirl (like you couldn’t tell it by my screenshot choices)! I deliberately stopped playing the story before its finale and returned the game to the library. That was because I wanted to give myself a good incentive to actually buy Injustice 2. It seems the game’s biggest strength is its single player content. In the time when Japanese fighting games are competing over who has the least content for solo players, Injustice 2 is swimming in it. When I get the game, I know it will last long for me.